Benjamin Movsas, M.D., (pictured left*) chair of the Department of Radiation Oncology at the Henry Ford Cancer Institute, has been named president of the American Society for Radiation Oncology's (ASTRO) Society of Chairs of Academic Radiation Oncology Programs (SCAROP). His one-year term as SCAROP president began in Summer 2018. Dr. Movsas previously served as SCAROP's Vice President. SCAROP is comprised of a group of national leaders in radiation oncology. The society provides a forum for the chairs of academic radiation oncology programs to discuss issues of common interest and to foster an interchange of ideas to help shape the future vision and direction of the field. He has published extensively on the topic of radiation therapy for cancer in many prestigious medical journals and regularly presents his research findings at some of the nation's top medical meetings. Ranked as one of America's top cancer doctors, Dr. Movsas has been featured in Consumer's Guide to Top Doctors, HOUR Detroit's Top Docs, and the Castle Connolly's America's Top Doctors for Cancer. He also is a Fellow of both the American Society of Radiation Oncology (ASTRO) and of the American College of Radiology (ACR). For more information about the Henry Ford Cancer Institute's Department of Radiation Oncology, visit www.henryford.com/cancer. 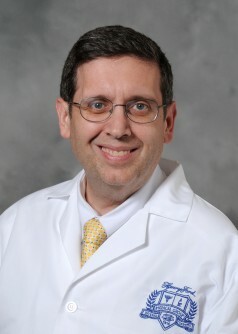 Dr. Benjamin Movsas elected president of Society of Chairs of Academic Radiation Oncology Programs. Appl Rad Oncol.